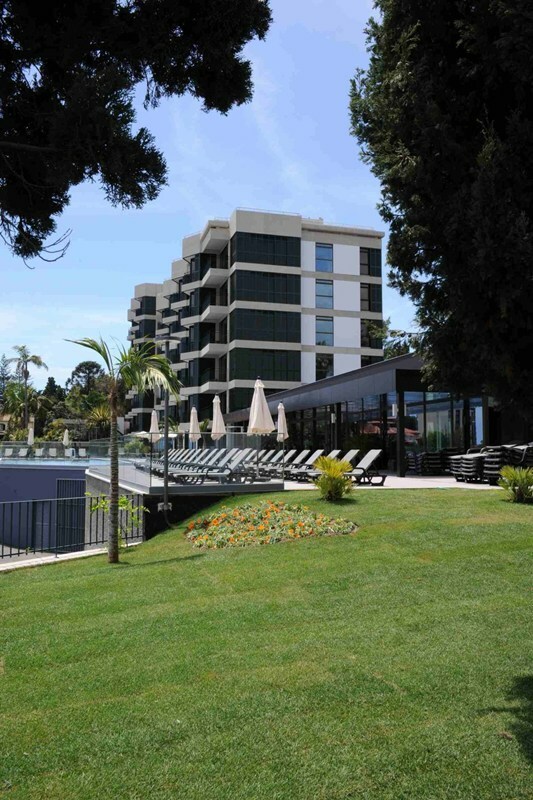 General Description: Welcome to Enotel Quinta Do Sol in Funchal. The closest city to the hotel is Funchal City (1 km). To make your stay more comfortable air conditioning, an elevator, a reception, a lobby, a conference room and a lounge are available. The staff in this 5 storey hotel speaks French, Spanish, German and English. Mobility on holiday is made easy through car, motorbike and bike hire. The hotel features a heated fresh water swimming pool. Sunshades and sunbeds are available free of charge at the pool. The hotel is within easy reach of theatre, bars and restaurants, bus stops, supermarkets, city centre, medical services, taxi stands, disco, tourist information and shops. Accessible from the hotel: airport FNC (25 km). The hotel ensures that disabled guests are catered for with the following amenities: wheelchair suitable lift, wheelchair suitable bathrooms and a ramp or level access. For your entertainment the hotel features a TV lounge.